The series consists of correspondence, committee and public hearing materials, newspaper clippings, and other assorted materials related to community and neighbourhood planning in Northeast Coquitlam. 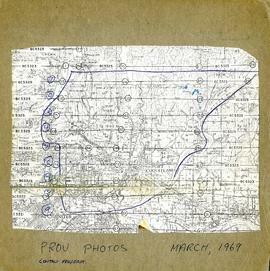 The map shows the various flight paths for the aerial photographs. The numbers on the map correspond to the numbers of the photographs. 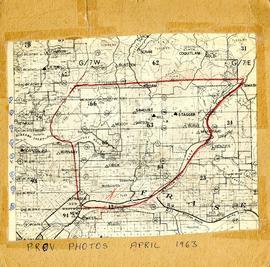 The series consists of reports and related correspondence and meeting materials regarding the Coquitlam Mountain and Burke Mountain-Pinecone Lake studies. The series consists of correspondence, reports, and related publicity and meeting materials regarding water and watershed management in Northeast Coquitlam.